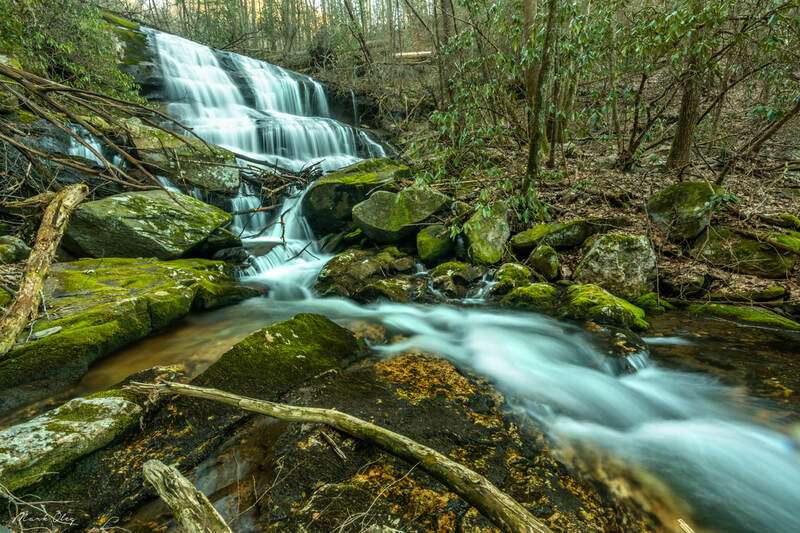 Waterfall Info: This remote waterfall is the lower of two waterfalls on Rough Creek (also called Little Rough Creek to distinguish it from Rough Creek in Fannin County) in the Cohutta Wilderness. Local photographer Joseph Cooper was the first to discover it and photograph it several years ago. Access Info: The hike to Cooper Falls begins along the Hickory Creek Trail from FS 17. You will leave the trail near Rough Creek and begin hiking upstream along Rough Creek along an ancient railroad grade, which leads to the falls in 1.3 miles. The railroad grade has numerous downed trees, so it is not easy off-trail hiking.